Residents of Alexandra have once again taken to the streets, calling on City of Johannesburg Mayor Herman Mashaba to address them. This is the third straight day community members have been protesting in the area. 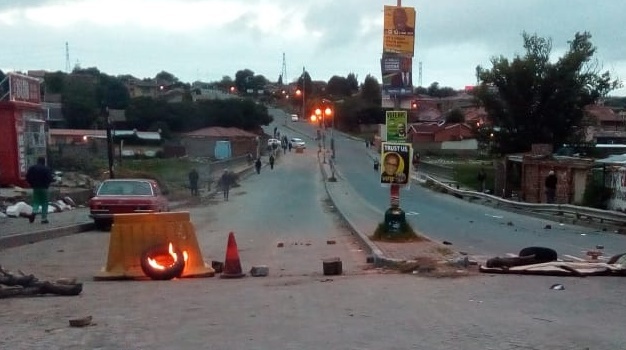 On Wednesday, angry residents blocked roads leading into the area with rubble, burning tyres and rocks as they led the #AlexShutDown demonstrations. On Thursday, a small group of residents started protesting again before suspending their action until Friday, calling on Mashaba to address them at a mass meeting expected to take place at 10:00 in the township. At around 06:00 tyres could be seen burning on several streets, preventing traffic from flowing through. 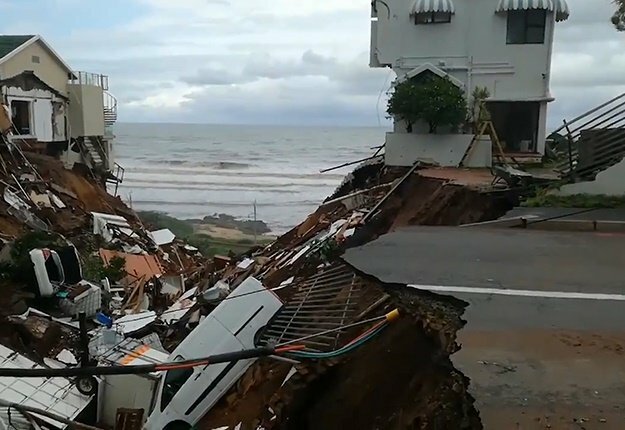 Many people, including school pupils, were seen turning back, as they feared leaving the area. On Thursday, Mashaba released a statement challenging President Cyril Ramaphosa to accompany him to the area. This came after the president called on Mashaba to attend to the community's grievances. "Name the time and place, Mr President. I will be there. I wonder if you will be there. I will account for the last two years of government and you can account for over two decades of government failure in Alexandra," said Mashaba. He blamed the previous council administration, led by the ANC, of causing the service delivery problems in the township. "Mr President, it is your own party that has hijacked the legitimate grievances of this community ahead of the elections. It is, in fact, the ANC that promised the world to the community of Alexandra and delivered nothing for two decades. "On the eve of the 2016 elections, it was the ANC mayor of Johannesburg (Parks Tau) and the ANC premier (David Makhura) who signed the Alexandra Statement of Intent, promising the massive development, which has never been funded by the national or provincial grants," Mashaba said in his statement. Mashaba sent member of the mayoral committee Michael Sun to address the irate residents on Wednesday. One of the protesters, who refused to be identified, said Mashaba's recent statement angered them and he is failing in his duties to attend to their grievances. "We heard what he said yesterday. We want him as our mayor to come and address us. If he doesn't come then is leaving us with option but to continue protesting. He is our mayor and must come here today to address us in our public meeting. "Mashaba, as a black man, he doesn't understand our issues and think we are mad and having fun. We want him today. He accepted the mayoral position when he was elected. Therefore, he must be here today and stop playing politics. He must stop addressing us through media and social media," said the protester.